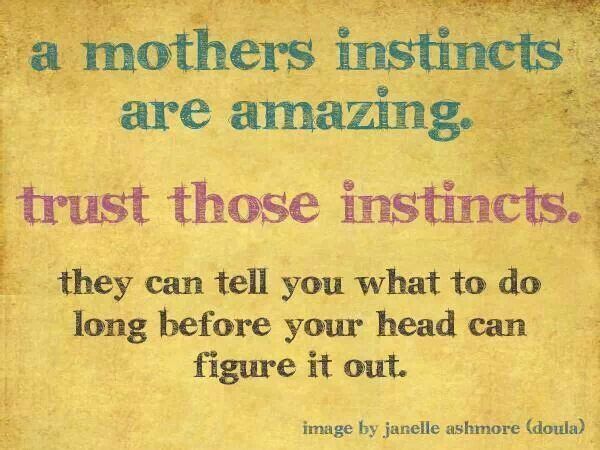 “Mother’s intuition is the deep intuitive blood bond a mother can have with her child,” says psyc iatrist Dr. Judith Orloff, author of Guide to Intuitive Healing. “It is a sixth sense mothers have that the child may be in danger or in need.” … “Each time they did this with their children, it has paid off. My son, Charles Ajoloko was wrongly convicted. My mother’s intuiton kicked in and I knew my child was in need of me. Researched has shown that the burden for proving innocence must be informed by the understanding upon which our criminal justice system was built: innocence can rarely be proven and thus must be presumed absent proof of guilt. I believed it was important to look for legal technicalities. I read Charles’ 711 page trial transcript, word for word, page for page, over and over again. It was on my fifth read that I noticed the discrepancies with the verdict form. How I wished I had noticed the verdict form when his direct appeal was done. Perhaps things would have turned out differently. The appellate attorney agreed with my findings and the following is attorney’s 1st argument for Charles Ajoloko’s 3850 Post Conviction Relief Motion. 1 . THE TRIAL COURT COMMITTED FUNDAMENTAL ERROR BY PROVIDING THE JURY WITH A VERDICT FORM ON COUNT ONE THAT WAS NOT IN CONFORMANCE WITH THE JURY INSTRUCTIONS . The trial court cornmitted fundamental error because the verdict form provided to the jury on Count One of the Information did not conform with the jury instructions. The offenses listed as lesser included offenses on the verdict form were completely different from the lesser included offenses included in the instructions and were actually more serious offenses than the offense for which Mr. Aj oloko was charged. A verdict form which is not in conformance with the jury instructions is defective and constitutes per se reversible error. Prater v. State, 608 So.2d 559 (Fla. 2d DCA 1992) ; Wilson v. State, 566 So.2d 36 (Fla. 4th DCA 1990) ; See also Moore v. State, 496 So.2d 255, 256 (Fla. 5th DCA 1986) ; Robertson v. State, 532 So.2d 90, 91 (Fla. 4th DCA 1988) (grievous oversight to not include on verdict form the lesser included offense that was one-step down from the offense of conviction) . Fundamental error can be raised at any time, including for the first time in a Rule 3.850 Motion for Postconviction Relief. See e.g. Barragan v. State, 957 So.2d 696, 697 (Fla. 5th DCA 2007) Hayes v. State, 598 So.2d 135, 138 (Fla. 5th DCA 1992) . In Wilson, the defendant was charged with robbery with a firearm. The verdict form failed to include the option of finding the defendant guilty of simply robbery, despite the fact that the trial court instructed the jury on that lesser included offense. The district court explicitly noted that the defendant did not raise a contemporaneous objection to the defective verdict form, but only objected after the jury was discharged. Nonetheless, the district court concluded that the omission in the verdict form required reversal of the defendant’s conviction because the verdict form was not in conformance with the jury instructions. 566 So. 2d at 36-37. Therefore, the verdict form failed to conform with the instructions provided to the jury. First, the verdict form completely deprived the jury of the opportunity to find Mr. Ajoloko guilty of the first two lesser included offenses (Attempted Robbery with a Deadly Weapon and Attempted Robbery with a Weapon) they were instructed upon. Second, all of the lesser included offenses included on the verdict form, other than Petit Theft, were not actually lesser included offenses of Attempted Robbery with a Firearm. Any completed offense of Robbery is not a lesser included offense of Attempted Robbery. Finally, the prejudice to Mr. Ajoloko was exacerbated by the prosecutor during closing argument because 1 The jury instructions also incorrectly listed the completed offense of Robbery as a lesser included offense of Attempted Robbery and the prosecutor referenced and relied upon the erroneous verdict form. (TT4 at 366-367) . “The result of incorrectly instructing on a necessarily lesser included offense is that the jury is deprived of all the tools it needs to reach a proper verdict in the case before it. Haygood v. State, 109 So.3d 735, 743 (Fla. 2013) Since the jury was deprived of the opportunity to find Mr. Ajoloko guilty of the lesser included offenses that were both one and two—steps removed from the charged offense, the verdict form provided to the jury was defective and constitutes per se reversible error. See Prater, 608 So.2d at 559—560. Accordingly, this Court should reverse Mr. Ajoloko’s conviction on Count One of the Information.